Since I’m at home hard at work on Book Six of the Tiki Goddess Mystery Series, I think YOU should be home working on a fun project, too. As you know, the fictional Hula Maidens featured in my mystery series love hanging out at the Tiki Goddess Bar and hoisting a few tropical beverages between hula numbers. There’s no doubt that the fictional Maidens have their own versions of tiki bars somewhere in their homes. 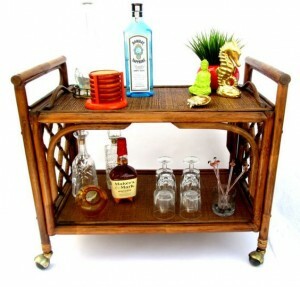 So, whether you imbibe in alcoholic tiki drinks or you stick to sodas, fruit juice and iced tea, YOU NEED A HOME TIKI BAR. 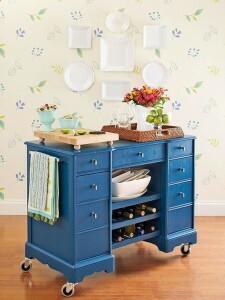 Why not create a fun casual atmosphere where friends can gather, kick off their shoes, relax, and talk story? 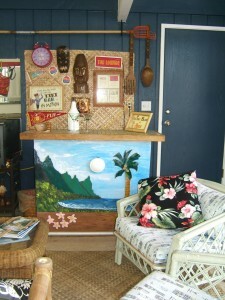 I have a tiki bar of my own in our carport…which was dubbed the Tiki Port years ago. 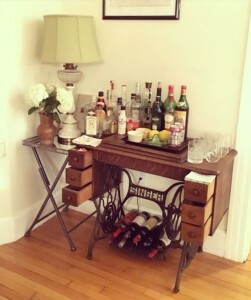 We found an old bar that was created by a neighbor in the 70′s and I was lucky enough to buy it from his niece when she was cleaning out the garage. A little paint, some tile grout and it is almost as good as new. By no means should you stick to a standard bar design. 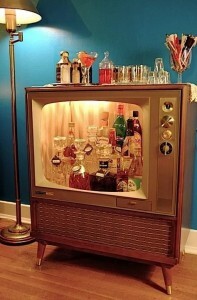 I’m sure more than one of you has an old television cart somewhere. They make a great rolling bar. 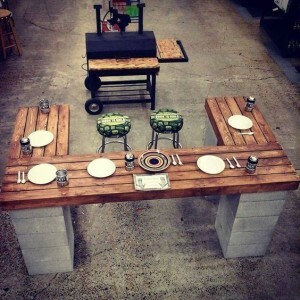 You’re only limited by your imagination when it comes to things you can change into a home Tiki Bar! 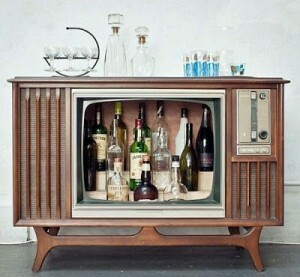 Add some wheels to an old desk or get creative with an entertainment center. Thrift Shops are full of them. If you have a great backyard area or a pool, you might want to check out these outdoor projects. 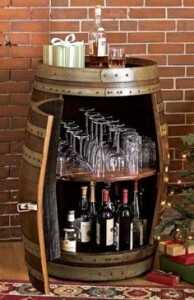 Or maybe your basement is empty and begging for some decoration and fun! 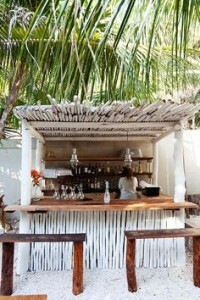 You might really want to go all out and add a palapa shelter on top. 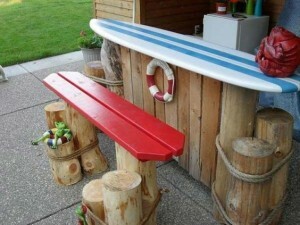 If you decide to create your own Tiki Bar, send me a photo or post one on my facebook page. DO leave a comment here on the website blog and sign up to receive newsletters. Mahalo to Pintrest collectors for the photos. Love your tiki port!! And I agree–every house needs a little tiki!! ). Can’t wait for the next book! !